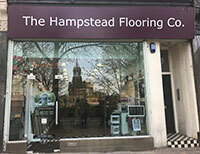 Our company has been providing flooring solutions in Finchley for clients across various sectors since its establishment in 1973. We have started as a family business and quickly grown as a leader in the market. We take pride in our work, contemporary flooring designs and customer-oriented approach which we now offer in all our floor installations in Finchley. 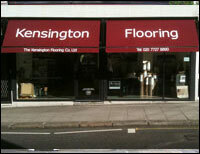 The Flooring Group is a trusted name standing for a quality product and reliable carpet and flooring supplier. We have gathered all the leading flooring manufacturers at one place to satisfy the needs of even the most demanding customers. What separates our company from the competitors is our level of dedication and passion for what we do. The Flooring Group is a trusted company providing a full range of flooring services and designs tailored to fit every taste. We cover the N3 postcode area and serve both domestic and commercial customers in the local Finchley community with replacements, repairs, and new installations of carpets, hardwood, laminate, and vinyl flooring. You can expect to receive fair prices and hard work from a team that is committed to excellence. 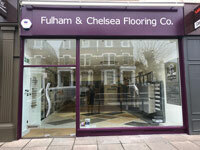 Our Finchley flooring specialists guarantee that your interior will always look its very best. Do not hesitate and give us a call on 020 7435 5678 to learn more about our flooring services in Finchley and surrounding areas. We can supply and install a wide range of flooring products and accessories, as well as provide you with a sample for every flooring type we offer. Choosing beautiful flooring is the easy part, but finding a reliable contractor to install your floor is crucial. 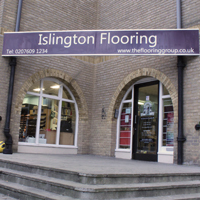 The Flooring Group is a locally owned and operated business delivering trusted flooring services in Finchley and its surrounding areas. With over 40 years of experience in the flooring industry, we always offer the very best results for your business and home. Choosing our Finchley flooring solutions ensures you will be getting top quality workmanship, value for money, absolute perfection, and expert advice and service. From wood floorings to carpet and vinyl tiles – we have it all. We also offer a full fitting or installation service on all the products we sell. We shall cover every space and area with care and thought of future use. Whatever the need – the Flooring Group has the best possible flooring solution available. Take a look at the flooring services we provide in Finchley and give us a ring on 020 7435 5678 to discuss your needs and requirements. 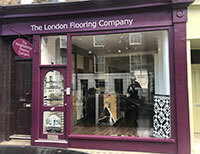 Let The Flooring Group be your trusted flooring provider in Finchley. We promise you the best flooring materials in each installation. Your comfort and satisfaction are our main priorities.